Stock Low : 920 items left. A style for any season; Capture’s Longline Shirt in charcoal spot is a must-have look. Capture blends a contemporary cut with retro inspired spots to create a flattering and fashion forward shirt with impeccable tailoring and a perfect fit in mind. Dressy enough for work with trousers and heels, this top will see you through any season and any occasion with the right co-ordinates. 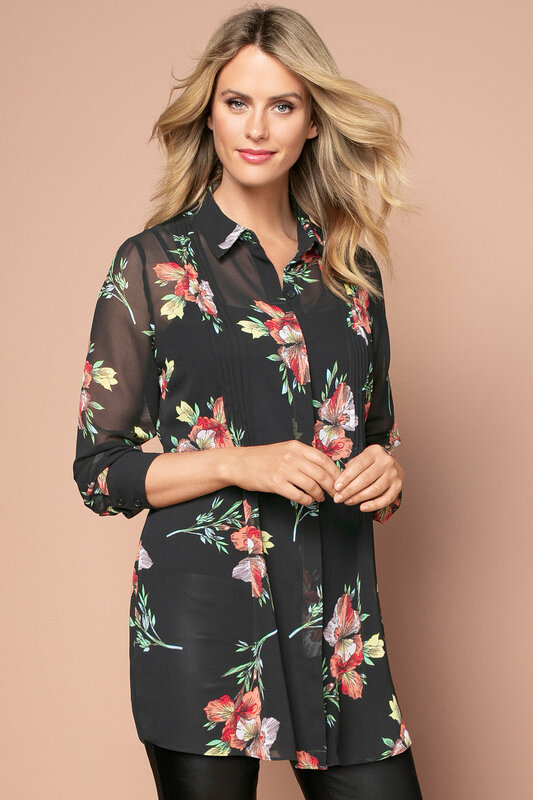 We especially love this blouse for those in between days with coated black jeans and pointed heels.